Medical billing. Or Medical Revenue Cycle Management. It’s as dry as the desert. A bunch of codes and symbols and paper-pushing (or now button-pushing). Transactions. Money-exchanges. Data gathering. Problem solving. Resubmittals. Denials. These are all tasks most people would rather hit themselves over the head than deal with. Yet, it’s the method by which medical facilities, hospitals, free-standing emergency rooms, physicians offices, and all healthcare practices get paid for the life-giving services they provide. Comprehensive Healthcare Revenue Management is the cactus bloom in this dry desert field under the blistering sun. We thrive in all the monotonous tasks. In fact, the more monotonous the easier the tasks are and the fewer mistakes we make. Our mission is to make revenue cycle management invisible to your eyes. However, having a basic understanding of what happens AFTER you gather your patient’s insurance information is useful and helpful especially when your revenue cycle management company does have questions about a submittal or you’re a do-it-yourselfer in terms of medical billing and coding. Today, we’ll lay out the basic steps in the revenue cycle. At its core, revenue cycle management is the financial process and collection of payments for medical services a healthcare practitioner provides. Here are the steps from the moment your patient walks through the door of your practice to the moment your payment is received. Charge capture. The patient is seen and treated. All medical treatments have a code assigned to them. This is known as charge capture in the revenue cycle management process. Here, the patient’s medical service is rendered into billable charges. Submitting claims. The billable charges are then submitted. It is here the charge receives a medical code. The codes are what insurance companies read. Payment posting. When the insurance company is finished processing the claim, it is posted, meaning it’s ready to be paid out to the healthcare provider. This is where the patient’s portion is determined (if there is one) and submitted to the patient for collection. Denied or rejected claims. Known in the revenue cycle management process as remittance processing, these denied or rejected claims must be rectified. Often the reason for denials or rejections is human error in the coding process, which is easy to rectify and resubmit. However, if the claim was denied other than a human error, this is when denial management steps in (a process your revenue cycle management company such as Comprehensive Healthcare Revenue Management analyzes) to help eliminate these costly denials. Analysis. The numbers matter and the better you understand the numbers, the more profit you’ll gain through eliminating errors, minimizing denials and resubmittals, and maximizing efficiencies in the billing process. 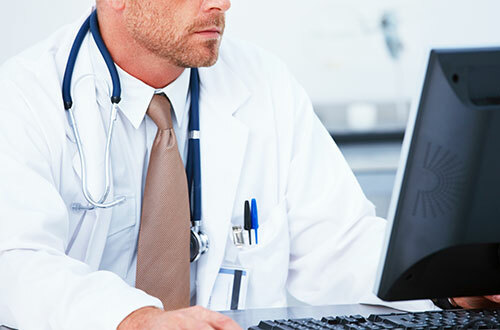 Your medical billing company usually offers analysis and reporting for you. Also in this process, examining the necessity of the medical services charged to patients is useful as well. This, in a nutshell, is the revenue cycle management process. With so many steps and so many fingers in the pot, it’s easy to see how this train can derail–and quickly. It’s important to have the right system in place. No one likes dealing with payments. However, we all have to make a living. And healthcare is not free. Do it yourself. Healthcare providers often purchase their own revenue cycle management system that is responsible for storing and managing patients’ billing records. They then train and/or hire their own staff to handle the medical coding and billing processes. Hire a professional revenue cycle management company. Healthcare providers can choose to take the burden off their employees’ shoulders and place the process of collecting payment for services in the hands of a third-party. 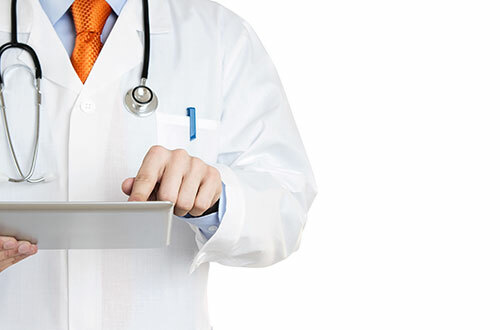 Comprehensive Healthcare Revenue Management provides third-party medical billing services for healthcare practitioners. Time is money. As old of a saying as this is (Benjamin Franklin was the first to write it down in an essay entitled Advice to a Young Tradesman in 1748), it’s true. The longer it takes for your healthcare practice to receive payment for services rendered, the more money it costs you in the long run in terms of financial management. Automation. Henry Ford made this process famous. Automating repetitive tasks eliminates human error and increases speed due to the simple fact computers can do tasks faster than humans. Now known as robotic process automation, businesses can automate reminder calls to patients, email out invoices, and process the actual codes, which further increases revenue. Cognitive computing is the next wave of the future, where computer models can simulate human cognition processes to find the solution to the problem (for revenue cycle management it would be an incorrect imputation of a medical code for example) and correct it instantly. Analytics. Many times even charts of numbers are confusing. Busy medical practices don’t have time to sit down and study the numbers. Employing a computer system to track denials, categorize them, and even prompting employees when something is not entered correctly the first time undeniably increases your revenue. Goals can be implemented and measured, tailored to your individual needs and practice. Inefficiencies can be found and tracked for improvement purposes. From the broadest picture to the minutest detail, the sky is the limit in terms of what computers and math can tell you about your business. We live by our core values to offer you superior revenue cycle management care. All of our activities are transparent; we don’t hide anything. You can view your books at any time, ask for reports, and review any and all information. We’re honest. We do what we say we’re going to do when we say we’ll do it. If we think we can’t help you or that your do-it-yourself medical coding and billing is working for you, we’ll say so. We have your best interests in mind and want our relationship to be a win-win for both parties. We practice integrity and excellence. Our goal is to exceed your expectations in all areas of revenue cycle management service. We have an open door and welcome your feedback on our services, positive or negative. We can’t improve if we don’t know! Like Aristotle, we believe excellence is a choice. A choice made in the little things, day in and day out, that leads to great things. Our overarching goal is excellence in every way. In keeping with this goal, Comprehensive Healthcare Revenue Management specializes in certain medical specialities. Oncology, Free Standing Emergency Services (FSEDs), Physician Billing, and Hospital Billing are the four areas we currently specialize in. 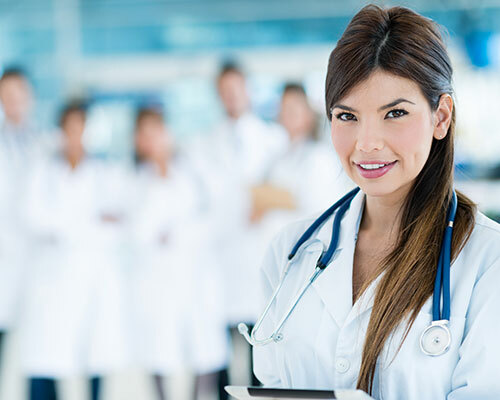 We also are adding an increasing number of spine surgeons to our medical coding and billing services. WHY SPECIALIZE IN MEDICAL CODING AND BILLING? The healthcare industry is as varied and as complex as the inner workings of the human body. 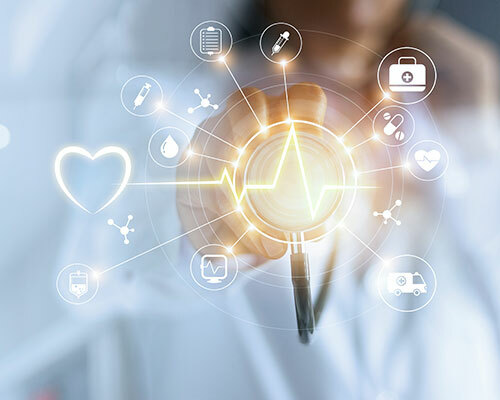 Over the years, Comprehensive Healthcare Revenue Management has discovered we can offer our clients better services and better denial management services the more we know in one area. Our medical billers and coders are intimately familiar with the codes for each specialty, which eliminates errors in billing. When denials and rejections in medical billing comes in, our medical billing specialists are more likely to know what the mistake was. When our clients have questions, we are better able to explain to them the process and answer detailed questions particular to their industry. Specializing in certain medical areas is key to the high quality, impeccable service Comprehensive Healthcare Revenue Management offers. Our newest billing specialty is spine surgeon billing. Spine surgeons are neurosurgeon or orthopedic surgeons who have additional training in treatment of spinal issues, diseases, and problems. Requiring an even more specialized knowledge base is critical in Comprehensive Healthcare Revenue Management’s ability to be the best revenue cycle management company. The more complicated the surgery and the more procedures, the more billing and coding errors there are. Spinal surgery is no exception. For example, coders must be able to match the spinal nerves involved in a surgery to the proper code and assign an accurate number of levels, which takes a medical biller experienced in spinal billing and one who understands the spine. Being able to translate a surgeon’s notes is a highly skilled practice. For example, how many areas of the spine were treated, was there a decompression, was a fusion performed, were bone grafts harvested, and what surgical approach was used are all questions to be answered when billing and coding spinal surgery procedures. Having a medical bill collections service that specializes in spine surgery billing helps to eliminate rejections and denial claims, which results in more revenue for you. Specialties tend to have the most changes in services that are covered and those which are not. Spine surgery has undergone major changes in the last few years in coding and reporting practices. 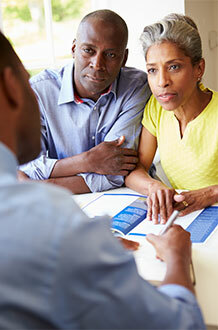 Having a medical claim specialist to keep up with all of these changes also will maximize insurance payouts. Spine surgeons are increasingly being asked to show the necessity of their surgical procedures for their patients. They are requiring more documentation in order to approve payment, which includes documentation of the details of the surgery. This is another step busy spinal surgeon practitioners don’t have time for. A revenue cycle expert in your corner is definitely a plus. Insurance companies are denying more and more claims in the hopes surgeons and practitioners won’t re-submit due to time constraints. Pre-approvals are not immune to denied claims either. 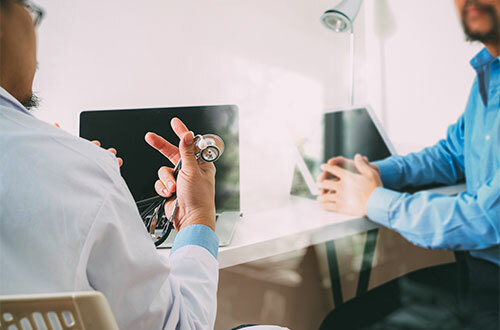 Comprehensive Healthcare Revenue Management believes it is critical to have a highly educated, experienced, and trained staff to have the persistence and wherewithal to pursue medical claims and denials for each of our clients. Medical billing should be so seamless that your practice rarely thinks about it. We are dedicated to improving the efficiency of our revenue cycle processes, which leads to more prompt billing and payment and involves less manpower, which all leads to more savings for us and for you. We stay on top of all the latest changes in medical billing practices and continuously invest in our employees with ongoing training. Knowledge is power, and here at Comprehensive Healthcare Revenue Management we believe in giving our employees the knowledge base to be highly successful at their jobs. All of our staff adheres and maintains our underlying values of integrity, honesty, transparency, and excellence. Everyday is an opportunity to touch lives. By doing our jobs correctly, practitioners can concentrate on growing their practice. As their practice grows, more and more people are helped. As more and more people are helped, this country becomes a better place, which translates into the world being a better place. Comprehensive Healthcare Revenue Management exists solely to make the physician’s, the hospital’s, the Free Standing Emergency Rooms, the oncologist’s, and the spinal surgeon’s lives easier. When your life is easier, the patient’s life is easier. And quality of life–what we all strive for–surges. If you share our values and believe we can help you achieve your goals, contact Comprehensive Healthcare Revenue Management today for all of your revenue cycle management needs!